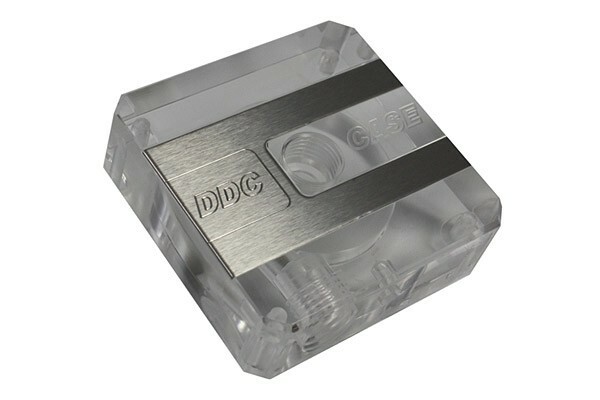 The perfect accessory for the Laing/Swiftech pump is the DDC-case LT. Installation is quick and easy: Simply replace the original pump top with this top. The integrated G1/4" threads then allow maximum fitting compatibility. The inner structure was designed for maximum pressure hear and Flow rates. The outer dimensions of the pump are identical with the pump for a flush finish.